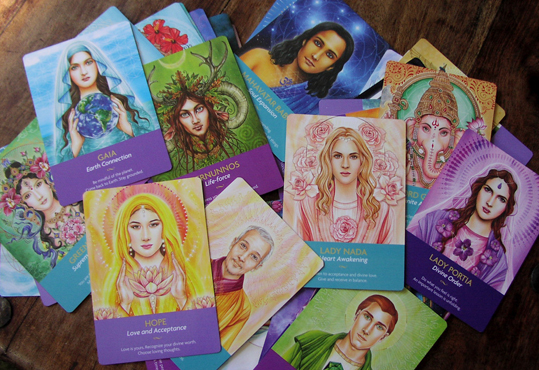 I love this set of oracle cards more and more as I use it. It is full of images of gods and goddesses, angels, spiritual teachers and enlightened beings, who Kyle Gray – the creator of the deck – calls Keepers of the Light. Whether you think of them as real entities or psychological archetypes, they are figures of history and mythology that we can call upon when we need help and guidance in our lives. 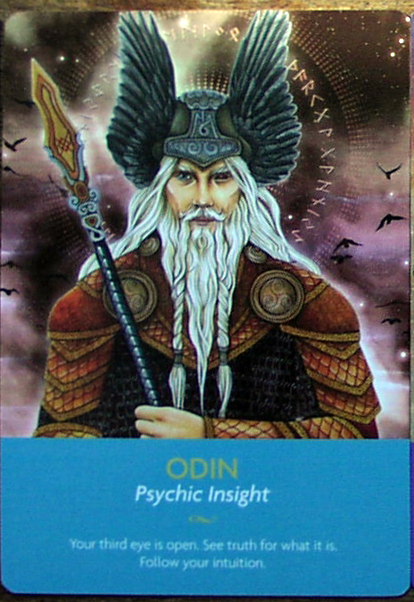 Obviously you can use the Keepers of the Light oracle cards much like any divination deck. 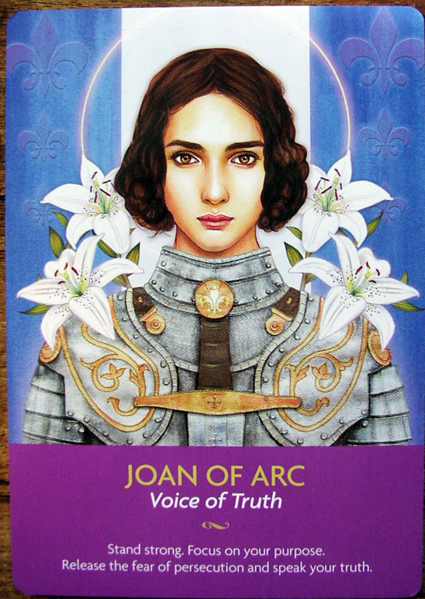 You can draw a single card or more for inspiration and messages about the past, present or the future - and it works very well. But I’ve found that it is much more useful than just for fortune telling or divination. When I'm casting spells or performing seasonal rituals, I like to put images on my altar of the deities I am calling upon - but I don't always have a suitable one to hand. Or, at least, I didn't until I got this deck. Now I do. And the images are beautiful too. Each picture in the Keepers of Light deck was hand drawn by visionary artist Lily Moses - and she has really done a lovely job. I particularly like the goddesses I photographed at the top of this post. The deities and other spiritual beings are paired male and female, so those who like to call upon both a god and goddess can do so. Publisher Hay House says: "The new Keepers of the Light oracle card deck from Kyle Gray draws together 44 Ascended Masters, spiritual deities and beings from many world traditions, and embraces spiritual teachings from ancient to modern times. The deck balances male and female energies, and includes traditional masters like Lord Buddha and Mother Mary, Earth-based deities like Gaia and Cernunnos, and modern favorites like Sanat Kumara, Lady Venus and Saint Germain." Keepers of the Light Oracle Cards by Kyle Gray is officially published today, September 27, but I've been lucky enough to have had my copy for a couple of weeks and I have been using it almost every day for both divination and magical work. The deck is published by Hay House and the RRP is £13.99, which is highly affordable.